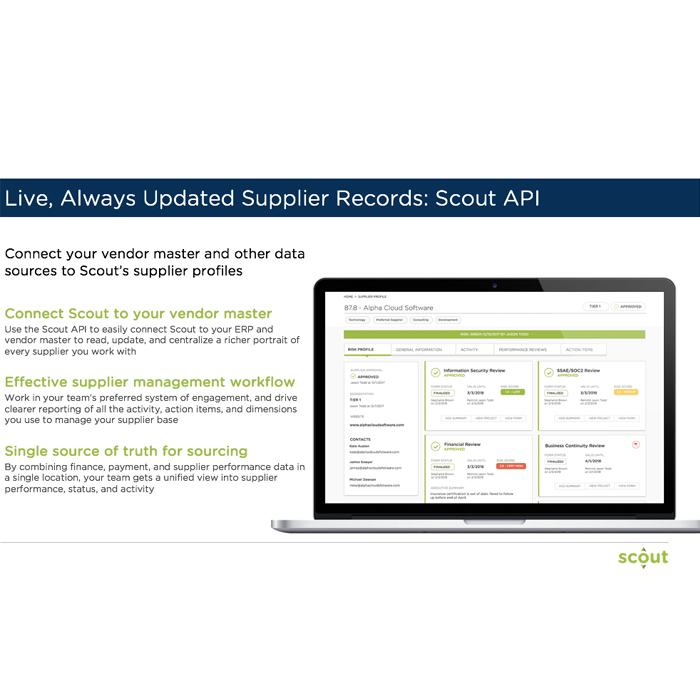 Scout is the sourcing and supplier engagement platform trusted by procurement teams to streamline their process, manage a unified pipeline of projects, and collaborate with stakeholders and suppliers. Scout’s powerful platform manages over $20 billion in project spend, makes enterprise commerce faster and more transparent, reduces risk, and drives profitability, giving CPOs the tools they need to transform the enterprise. 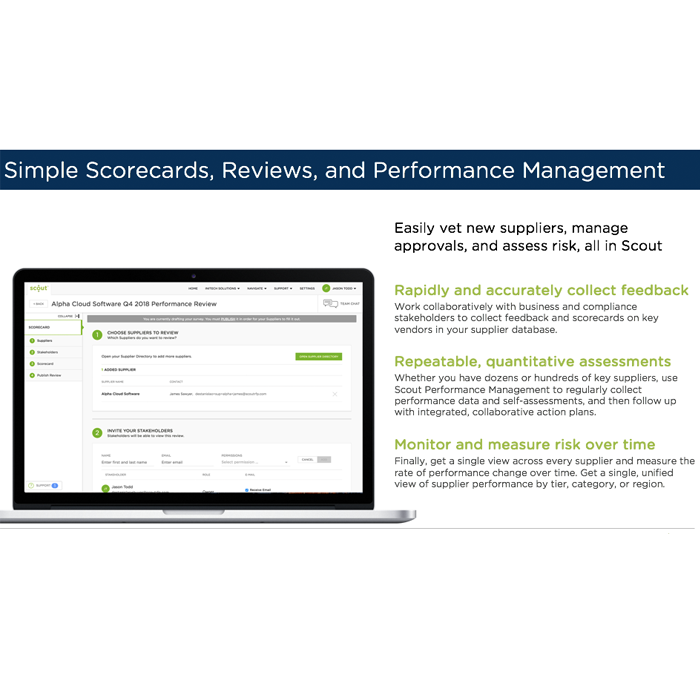 Over 180 global brands trust Scout to provide greater visibility across stakeholders and suppliers, measure effectiveness, and make procurement teams crazy successful, including three of the world’s biggest cloud software companies Workday, Salesforce and ServiceNow. Read more on the Scout Blog or follow @scoutrfp on Twitter or LinkedIn. This post is part of our 2016 Year-End Procurement Tech Review, in which we offer procurement practitioners a bird’s-eye view of some key vendors and their solutions in select categories. This week, we’re highlighting companies in the sourcing (including e-sourcing) and supplier management spaces. The founders of Scout RFP launched their firm with the goal of making e-sourcing solutions accessible and less cumbersome. 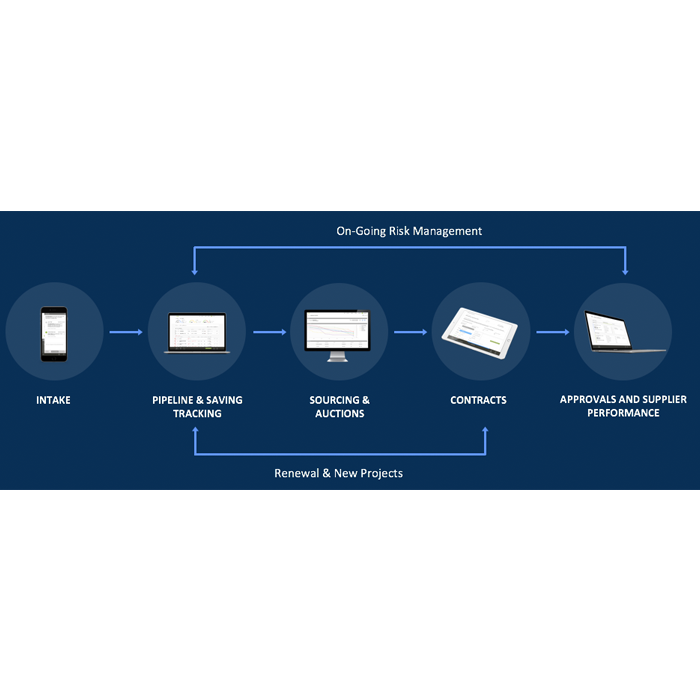 Since the launch of a basic but simple-to-use RFP solution in 2013, the Scout RFP team has quickly built out the core of an e-sourcing suite, adding e-auction, savings tracking and supplier (information) management. 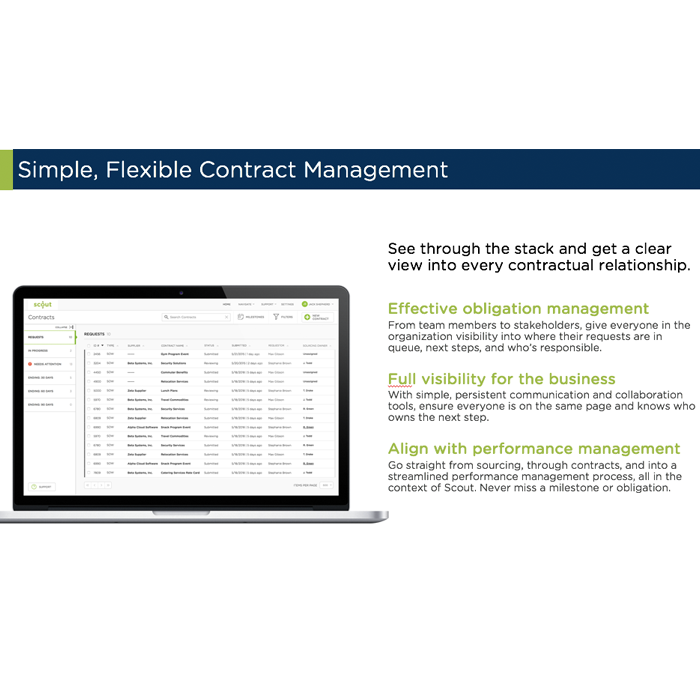 Flash-forward only three years, and Scout RFP today positions its solid mid-market solution against the leading best-of-breed vendors in this segment of the market, with capabilities even larger firms may want to use. Scout RFP is more than just an RFP and e-sourcing technology. It offers a possible solution to the vexing problem that has plagued “upstream” procurement technology adoption for the past 15 years. By focusing on the user experience first, including a messaging and collaboration capability at the core of the application, and building out capability that is likely to be used by the majority of users versus features that will just be valuable to a minority of customers and individuals, Scout RFP has taken a different approach than many of its peers. The company’s growth to date and current rate of customer additions relative to peers is proof that this approach is resonating with customers. While work remains to build out a full-featured sourcing suite, fully internationalize its capabilities and tackle important integration questions and scenarios with other procurement and related technologies, Scout RFP has much to teach both its rivals as well as procurement organizations looking to increase the sphere and influence of their sourcing activities. For a more comprehensive analysis and guide for procurement organizations looking to understand whether they should consider adding the provider to their shortlists for consideration, please head over to the Spend Matters Almanac.